Help us reach the sky! We're a robotics club representing our institution at FIRST Robotics Competition. Help us achieve our dream! Thanks so much for your support! Welcome aboard, Eagle. A personalised thank-you letter will arrive shortly. Thanks so much for your support! Welcome aboard, Eagle. A personalised thank-you letter will arrive shortly and a shout-out on our social media. Thanks so much for your support! Welcome aboard, Eagle. A personalised thank-you letter will arrive shortly and a shout-out on our social media as well as a digital diploma. Thanks so much for your support! Welcome aboard, Eagle. A personalised thank-you letter will arrive shortly and a shout-out on our social media as well as a digital diploma, your screen name appearing on our web-site, also special photos and videos. Thanks so much for your support! Welcome aboard, Eagle. A personalised thank-you letter will arrive shortly and a shout-out on our social media as well as a digital diploma, your screen name appearing on our web-site, also special photos and videos with a nifty t-shirt. 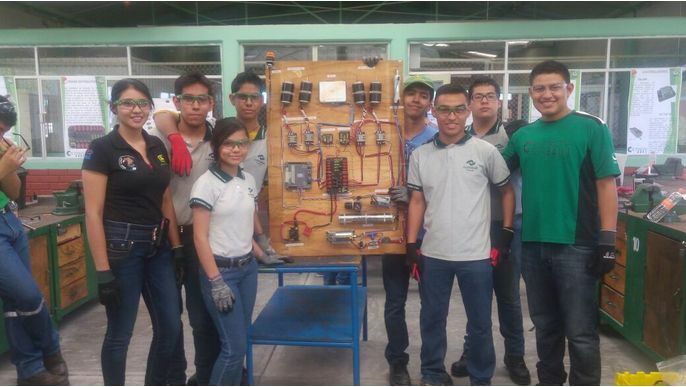 We're a robotics team, composed of 45 members from CONALEP Torreón, unified under the shared dream of showing our community that a public low-income school can achieve great things and find innovative, creative solutions for everyday challenges…. We just need to INSPIRED. 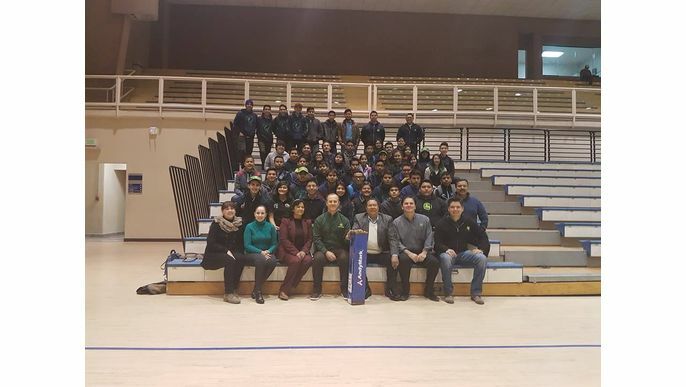 We are part of the Conalep216 at Torreon Coahuila Mexico and we have been with the support of many industries alongside the region , in a global-scale robotics competition. 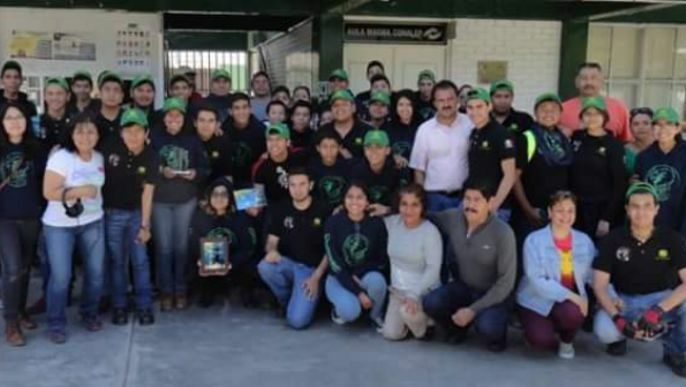 Thus, Desert Eagles 5705, became the first of 314 CONALEP schools along the Mexican republic to participate for 3 years. Our first team, ,started our first robot in Octuber of 2014, with only 9 mentors who were all school teachers and in our first ever season we were awarded with "Safest Pit". In 2016, a selection process to include new members was started within the school, and we ended up with 30 members of different grades and areas, 7 Jr. Mentors, and 6 Mentors from the school. Today we are 65 members that are willing to go to the Regional event and give everything they got in order to represent our school and our country at the FIRST Championships. All of the money raised will be spent on various necesities. Firstly, on team uniformeds since not all team members have enough money to buy our team uniform. Secondly, on supplies need to build/improve the robot (such as tools, equipment, materials,etc.). And thirdly, the money will be spent on the team's transportation since we don't count with our own mean's of transport. The entire team will be able to have their uniform. The entire team will have their uniform and the tools needed. The team will have their uniform, tools, and material needed. The team will have their uniforms, tools, material and anything else needed.